How does this affect the nature of the supernova itself? Doesn’t the white dwarf have to attain the same mass to supernova in this case, perhaps just taking longer to grow due to nova ejections? Wouldn’t the white dwarf still have essentially the same composition? Why didn’t astronomers think supernovas could happen in nova generating white dwarfs? As an ignorant geek I don’t see any reason to think this is a different type of supernova, aside from maybe the brightness being altered by the previously ejected nova material. That is of course an important question. 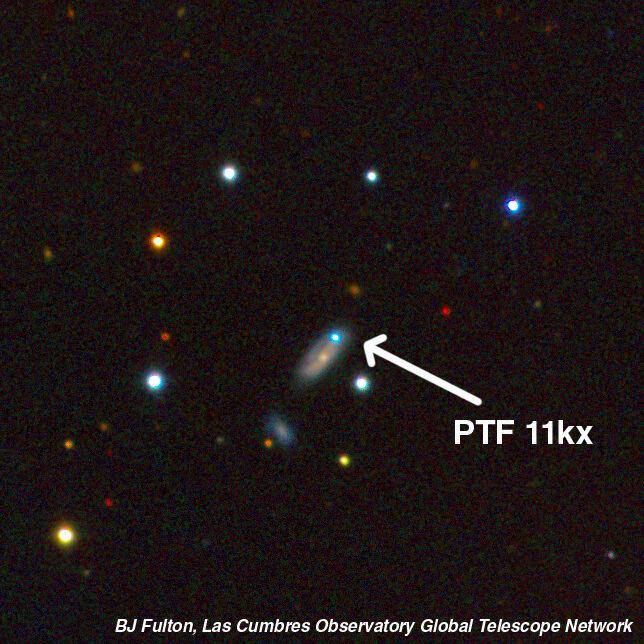 The Type Ia supernova is being thought to occur from a number of sources now. While this makes the astrophysics interesting it clouds the issue of a standard candle. The uncertaintly whether repeated novas can eventually go supernovae is if the net accumulation is enough, or if more mass are ejected in the nova than is accumulated. Afaik the issue is mostly that it still is very uncertain wich way it would go. Yo, red giant, Imma let you finish your late phase of stellar evolution, but let me go supernova on you first.